I began my own blog a little over a year ago. I felt so sad at the time because I was dealing with Empty Nest Syndrome. You can find out more in this article, Why and How I Retired Early So I Could Homestead Full Time. I started my blog because I loved to write, and finally I had time to write about our homestead and all the things we do here. It was also a way to share my recipes for herbal preparations to help others become healthy naturally. I decided I'd share about the things I knew how to do so I could help other people learn to be healthier and more empowered in their lives by being more self-sufficient, knowledgeable about our chemical world and better able to make healthy choices. My friends were intrigued! They kept asking me how I did it, why I did it, and did I enjoy it? Several of them even asked how they could start their own blogs. As I started making a little extra money, their questions became more insistent. Have you ever felt like you have a story to tell? Have you learned some important lessons in your life? Do you think you could help others by sharing what you know and the experiences you've had? All of us are important and have things to share with the world. I haven't met one single person who doesn't have information and stories that can help another person out. If you are ready to start your blogging journey, I've compiled some of the resources that have worked really well to help me grow in the past year. I view my blogging as an investment in myself and my business. If you are serious about your blogging journey, you need to take advantage of my list of favorite resources. Best Resources for "How to Start Blogging" and "How to Build Traffic"
When you first start blogging, getting page views becomes pretty important because the more you have, the more you can jumpstart your potential to make some income. For right now, these are my favorites. I'll be adding to this list as I keep learning! Make Money Blogging at Any Level. My friend, Victoria over at The Modern Homestead, wrote this book in January, 2017. I was a brand spanking new blogger and knew absolutely nothing. I didn’t even know you could make money blogging! Victoria's book helped me learn the things I needed to start doing right away so I could reach more people and grow my audience to help others. This is the book that initially helped me know what to do to start making money. I highly recommend this book! 0 to 10K Pageviews in 30 Days. This book was written by my friend, Anna, over at Salt in My Coffee. I wish I had had this book when I first started out. Even though I've been blogging for over a year, I found many helpful pieces of advice to use. If you have less than 10,000 page views, you should really take a look at her book. FREE Blog Traffic Bonus Guide. Maybe you are just thinking about starting a blog. Instead of paying for resources, sometimes getting information free is the best way to see if blogging is for you! Lena Gott, over at What Mommy Does, has written several outstanding books about different aspects of blogging. In this one, she helps you get started free! And I love free quality information! After I realized the importance of building an engaged email list, I figured I’d better get started taking it seriously. I took Jennifer Marx’s LIST LOVE course, and I have never looked back. If you are new to building an email list, you simply should just get this course, and start from the beginning. And if you are not new, but your list isn’t growing as fast as you’d like, you should just go ahead and get this course. If you are serious about blogging or any kind of business, you need an email list, and you need to take this course. Traffic Transformation Guide (How I Went From 17K Page Views a Month to over 400K in 10 Months). I purchased this book, also by Lena Gott, because I was frustrated at my slowly growing traffic after about a year into my own blogging journey. I don't regret buying it one bit! I highly recommend this book if you are on your way in the blogging world, but are frustrated with your progress. And….even now, two years later with page views over 100,000 a month, I still refer to Lena’s book! Food Blogger Pro is a subscription membership site run by Bjork Ostrom and his wife Lindsay, of Pinch of Yum. They know a LOT, having built two huge businesses around blogging. They share all their information through short video lessons, live Q&A’s, and an active Facebook community. If you’re not a food blogger, don’t worry. You will still learn a ton from this membership site. (I’m not a food blogger, after all, lol). The content they share about how to get your blog going, how to photograph & video for your blog as well as other platforms, how to build traffic, dealing with Pinterest, etc…..there’s SO much here. This next program is one I just joined recently, and I LOVE it. I wish I had access to this when I first started. It's called the Billionaire Blog Club and it's run by Paul Scrivens. It's an active group with lots of support, and Scrivs (as he is affectionately known) has created all the courses you need to get started. So, for one fee, you have access to all of it. I HIGHLY recommend this program, and here is the link to take a look at The Billionaire Blog Club. Anything by Meera Kothand: But I’m Not an Expert and/or One Hour Content Plan are two of my favorites by Meera. Decoding the New Consumer Mind...and there are lots more. Here's the link for more information about Victoria's Book----It was the BEST thing I've ever done for my blog as a beginner, and also one of the least expensive. Win-Win!! Resources for "How to Use Social Media"
Lena Gott also has a Pinterest training program. I honestly haven't tried it (yet), but everything else she has done is excellent. It's called The Pinterest Tracking Template + Training Video. **If you are planning to blog seriously and want to get lots of traffic via Pinterest, you need to sign up for Tailwind! It's free until you start pinning a lot, so it's a perfect Pinterest scheduler for the beginner and experienced blogger alike. Resources for "How to Write Like a Pro"
How to Organize a Blog with Multiple Topics. 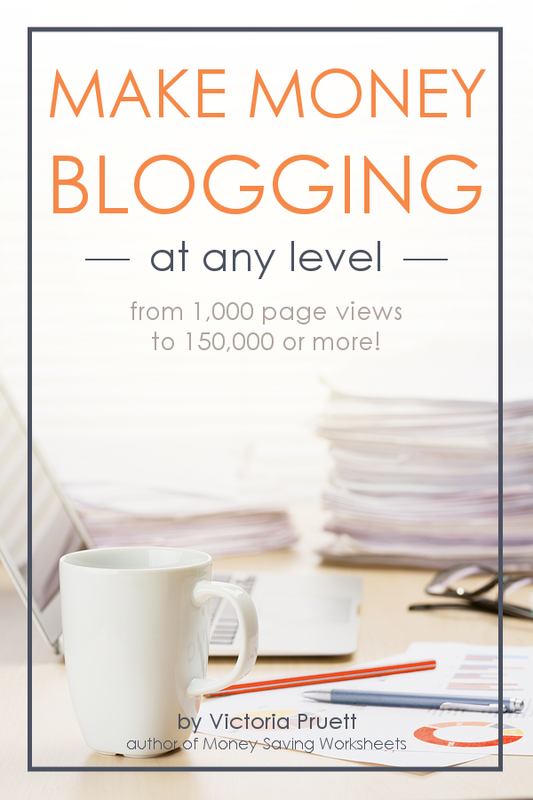 This book helps you tighten up your blog so you're not all over the place. An organized blog helps your reader find what they are looking for and also helps you determine what to write! This book is written by Lena Gott. CLICK HERE to find out more information about boosting your traffic to make income for your family! I just want to say this about blogging: It can become all-consuming. That's why I retired early---so I could devote my days to my writing and learning and grow this blog of mine. Many bloggers hear their spouses complain, "You're on the computer AGAIN?" It can definitely be rough on relationships. Have you ever thought about starting a blog but were a little scared? I know how you feel! Here are ways to help get you started with your own blog. How to create a blog, how to build traffic on your blog, how to make money on your blog, and even information about relationships and your blog. Find out how to start your own blog!